* The girls celebrate at the end of their marathon ride. 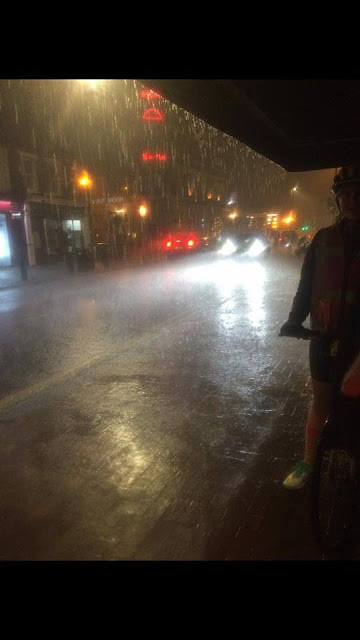 Seven intrepid friends from Llangollen braved a fearsome electric storm to complete a gruelling 65-mile charity bike ride. Elen Roberts, Samantha Jones, Louisa Jones, Stephanie Williams, Tessa Orton Jones, Alix Rawlinson and Tracey Jones took part in last weekend’s Ride the Night event in aid of three women’s charities - Ovarian Cancer Action, Jo’s Cervical Cancer and Breast Cancer Care. Team member Tracey explained: “Just over 12 months ago we decided to do something challenging, inspired by our friend Louisa Jones’ previous charity rides in India and Cambodia. 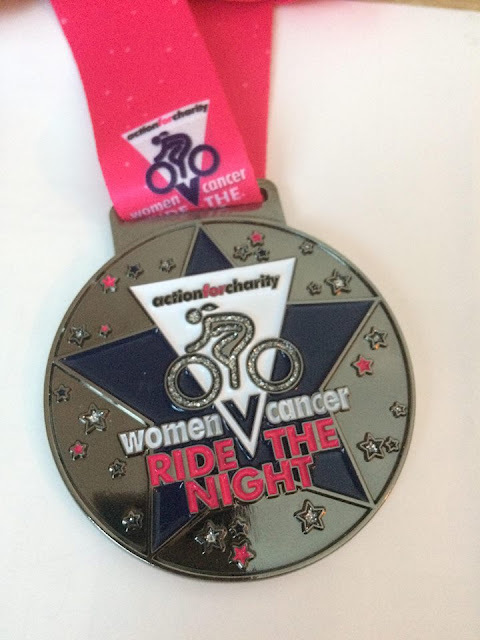 “Action for Charity organises several cycling challenges both internationally and across the UK to raise money for these three fabulous cancer charities. 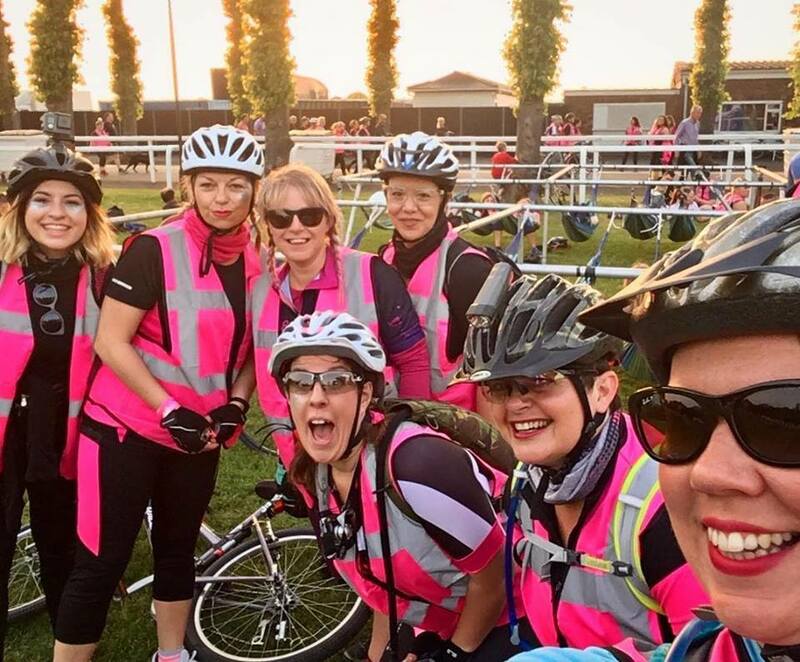 “So at 9pm on Saturday evening we set off from Windsor Race Course to complete the 104km cycle into central London and back. “All started well on a lovely early summer evening, however at just 15 miles in the weather took a turn for the worse. Tracey added: “The rain eventually subsided in the early hours leaving us all tired, wet and very cold but all seven finished the course within six to seven hours despite the odds. “The overall event raised in excess of £1.5 million. The girls are exhausted but very proud of what they achieved. * The thunder storm they cycled through. * The finisher's medal they each received.